Following on from our March edition of the Monthly Food Calendar, we bring you April’s foodie-days one day in advance. From charity awareness to tea appreciation, there’s a great mix this upcoming month! 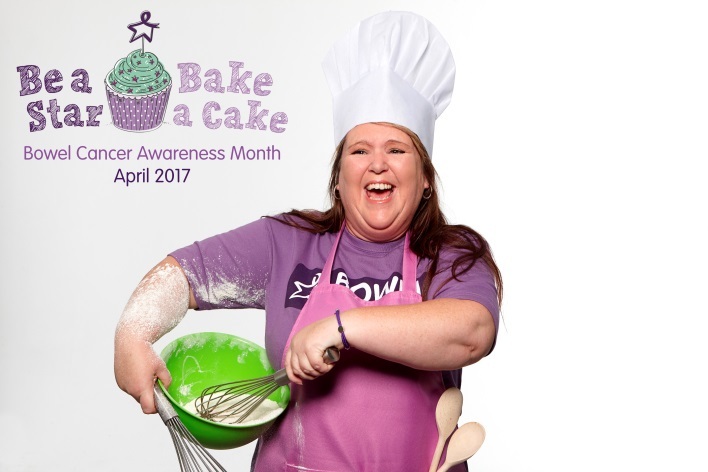 The entire month of April is Bowel Cancer Awareness Month, hosted by Bowel Cancer UK. 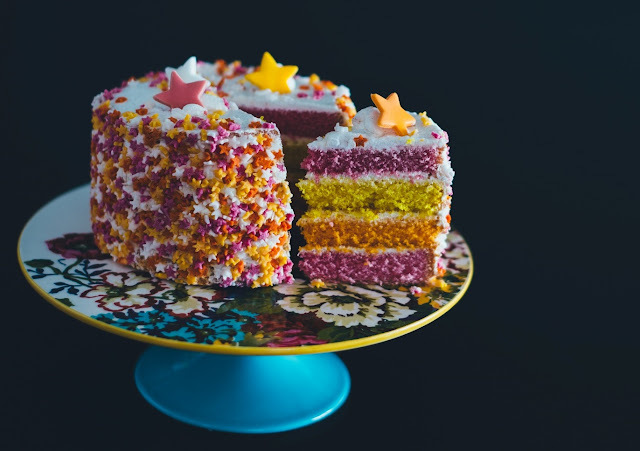 Everybody loves cake, and when supporting an extremely important cause, it’s even better. The charity are dedicating the month to raising awareness and money for those with bowel cancer, with campaigns, like ‘Be a Star, Bake a Cake’, urging for people to put on a bake sale to have fun, be sociable, and most importantly support vital research in fighting bowel cancer. Read more about how to get involved on the Bowel Cancer UK website! A fun one for lovers of the orange vegetable, International Carrot Day was founded in 2003 “to spread knowledge about the carrot and its good attributes around the world” as the day’s website reads. Carrots are perfect with a Sunday roast or as a healthy snack with a dip of sort – hummus is my preference. The day is popular in a number of countries, with reports of celebration coming from France, Italy, Sweden, Russia, UK, Australia and Japan on the day in 2012. Carrot parties are thrown with carrot cakes, juices and shots (?) and strict dress-codes of orange and green - so if you’re a carrot enthusiast, why not get involved? 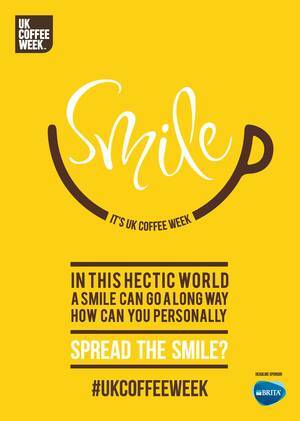 As a nation of coffee-lovers, it’s only right we dedicate an entire week to the drink that wakes us up every morning. Whether your preference is espresso, flat white, or a creamy cappuccino, coffee is the hot beverage of choice for many. The nationwide celebration shows appreciation for coffee, as well as doing a world of good and fundraising for coffee-growing communities in Tanzania, Rwanda and Ethiopia. With headline sponsor Brita working alongside popular coffee outlets including Caffè Nero, Starbucks and Costa, there is huge support behind the week’s campaign Project Waterfall. The project is dedicated to providing clean water facilities to coffee growing communities – water being a fundamental part of the coffee growing and production process. Find out how to get involved in fundraising on their website. “Time to pay homage to those pungent cloves so go ahead and crush one into your favourite savoury dish....” the website reads, and I couldn’t agree more. Garlic is a strong, sometimes overpowering vegetable, which is a great herby addition to many dishes. Garlic bread is a British-favourite; the perfect accompaniment to Italian dishes. Native to central Asia, garlic is said to have a number of nutritious benefits, being rich in proteins, vitamins and minerals like calcium, magnesium and iron. Perhaps more celebrated in the US and Canada, with Garlic Festivals occurring in a number of locations throughout the whole year. But there’s no stopping us Brits incorporating garlic into new recipes in your own home, and celebrating the herb (just keep some chewing gum and/or mints handy). If you’re less of a coffee person and more of a tea person, April brings days for both preferences. 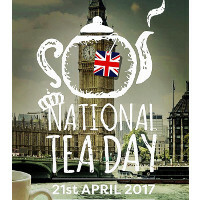 As a nation known for our love of tea, the 21st of April brings the ultimate celebration of the comforting British favourite. The National Tea Day’s website offers places to go to get the very best afternoon tea across the country, including information and tickets to the London National Tea Day on Kensington High Street on the day itself. The festival offers tea-tasting and celebrity baking master-classes, as well as all proceeds from ticket sales going to associated charities including the British Red Cross and The Sick Children’s Trust. If you can’t make the festival, there are participating tea houses up and down the country to visit, or you could host your own tea party to enjoy cake to accompany your tea of choice, while seeing friends and family. Visit the website for more details!